Job roles cannot be understood in isolation. They have to be understood in the context of the organization. This book attempts to throw some light on how organizations work, in simple language, using analogies and examples that readers can easily relate to. We have also attempted to explain the working of various departments in an organization and the entry-level job roles available in each department. 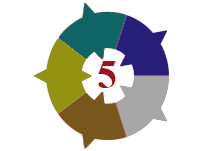 We have interviewed practitioners to capture their experiences. Coming to job roles, students have some simple questions such as ‘What will I be doing if I get this job?’, ‘What are the challenges in the job?’, ‘What are the career prospects, salary?’, and so on. These have been answered with the help of practical knowledge and contemporary data. 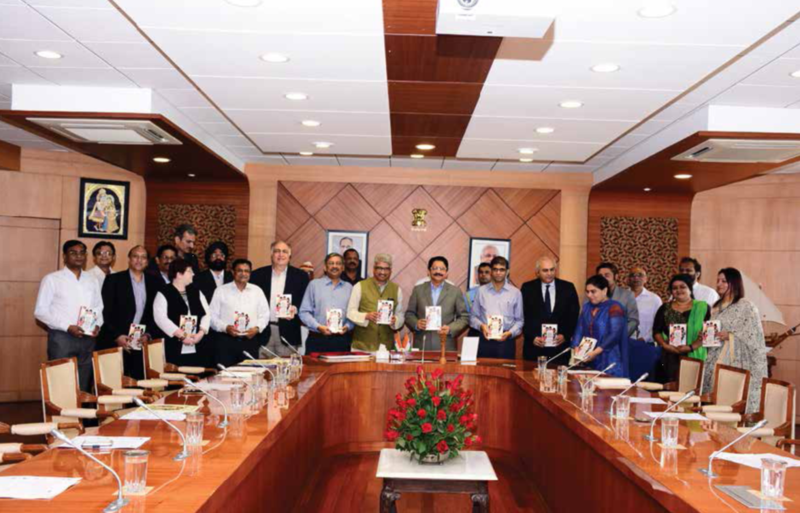 Launch of the book by His Excellency, Governor of Maharashtra, Shri C. Vidyasagar Rao at Raj Bhavan, Malabar Hills, Mumbai. 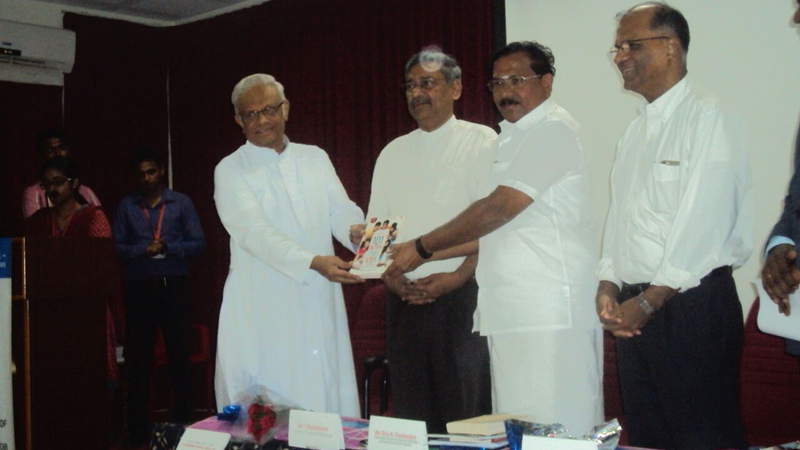 Honorable Minister of School Education, Sports and Youth Welfare, Government of Tamil Nadu, Mr. Thiru K. Pandiarajan launches the book at Loyola College, Chennai and the event was also graced by the Rector, Rev. Fr. Francis Jayapathy. Though the blurb explains about the book to a certain extent, still it has a lot more knowledge waiting to be fetched behind the pages. The book is first-of-its-kind, like the introduction states, and satisfactorily it has been put down well. The author gives a glimpse of his meticulous study in the first few chapters of the book itself, and the pictographs and the charts add a glare to the narration. The narration is explicit, grippy, also the minute details of the respective study fields makes the reader understand the actual ways of the working of the sectors. The illustrative examples written by the author – also the illustrative pictures – approach an understandable aspect to the reading, and nowhere does it seem boring. Kudos to the author for handling such topics amidst the breezy and fast paced narration. Though in the middle of the book the reader might feel it a little boring, it is negligible. One of the notable things is the shuffling of point of views. It has been done really good and doesn’t feel unnecessary anywhere. The editing is appreciable and upto the mark, so is the author’s efforts and study of the industries and the types of jobs. This book is a must read for the aspirants, no matter whatever field are you from. 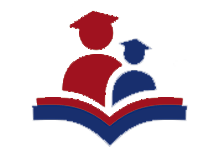 Like the author mentions, this book is beneficial not only for the students, but also for parents, placement officers, and job counselors as well. 4.4 stars from my side. The book indeed has a room for being more explanatory, as education is an endless medium awaiting to be explored. 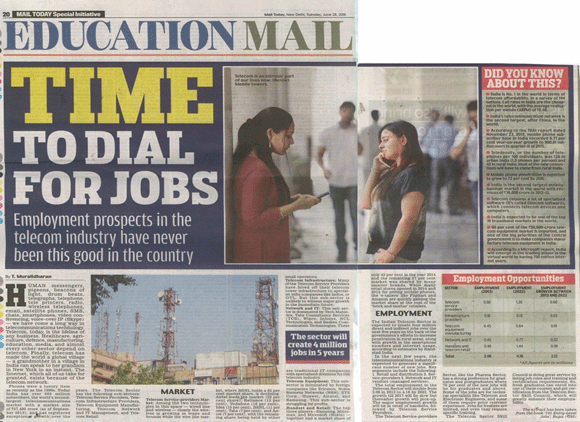 Overall, a must pick for students to understand the minute details of the industries and jobs. For any graduate who is fresh out of college, getting the first job can be quite confusing. Especially when it is the college who is offering placement. 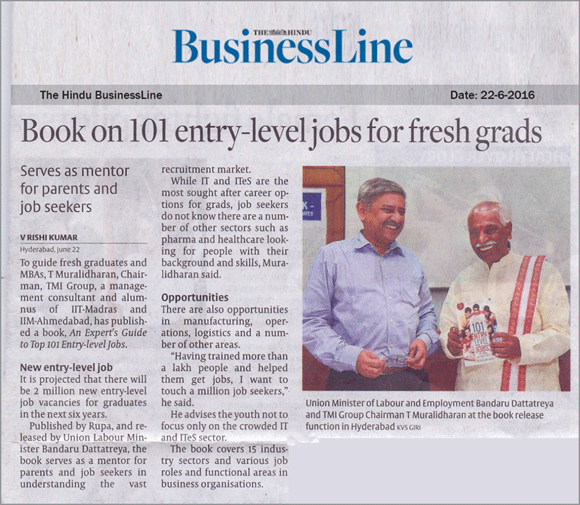 While taking admission, that 100% job guarantee seems quite alluring, but the reality is that when offering that job, the college hardly takes into consideration your dreams and aspirations. And let’s face it, in India, people jump straight from school to graduation and then to post graduation. Unless you have worked, you really are not aware of all the nitty-gritty of corporate lives, so chances are, even the students are not aware of what they would like to specifically do in their lives. So the level of dissonance from the first job is quite high. This book tackles that problem head on. This is a well-researched book that needs to be on the shelf of every student who is looking for their first job. 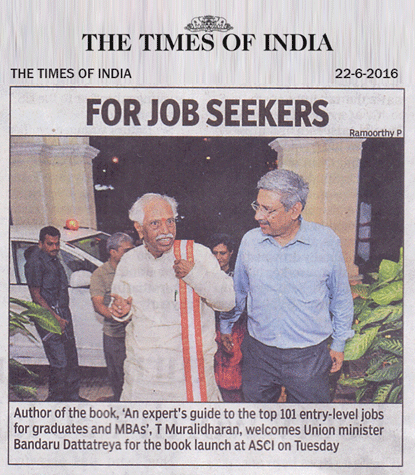 ‘An Expert’s Guide to 101 Entry Level Jobs for MBAs and Graduates’, authored by T. Muralidharan will benefit job seekers as well as young graduates of the country immensely. The book throws light into the job prospects in the country for young generation who are not only MBA degree holders but graduates as well. The author rightly analyses how the IT industry will be creating less and less jobs for fresh college pass outs in the coming years. 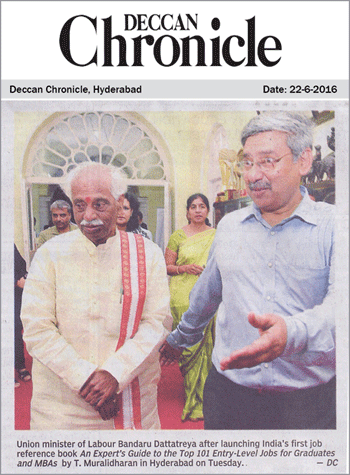 The author has given importance that youth must think beyond IT industry. However, author realises that information on jobs in the other sectors are sketchy. 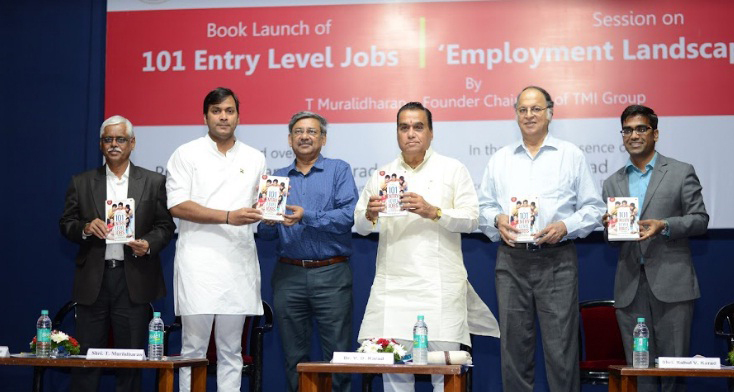 Hence he comes out with a reference book on entry level jobs which will not only list the jobs but also explain why should a youngster join that job role and why should he or she build a career in that industry. 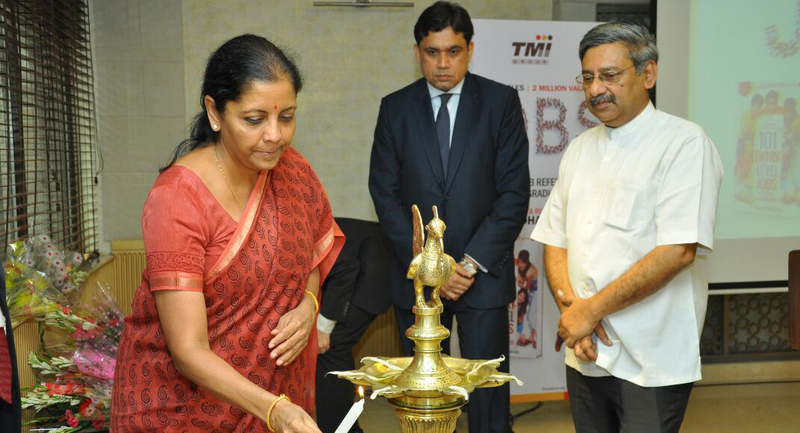 The book covers 15 industry sectors and lists over 52 jobs in these sectors. The book also covers 10 job roles in the IT and ITeS for graduates and 39 job roles in 8 functional areas common in every business organization. 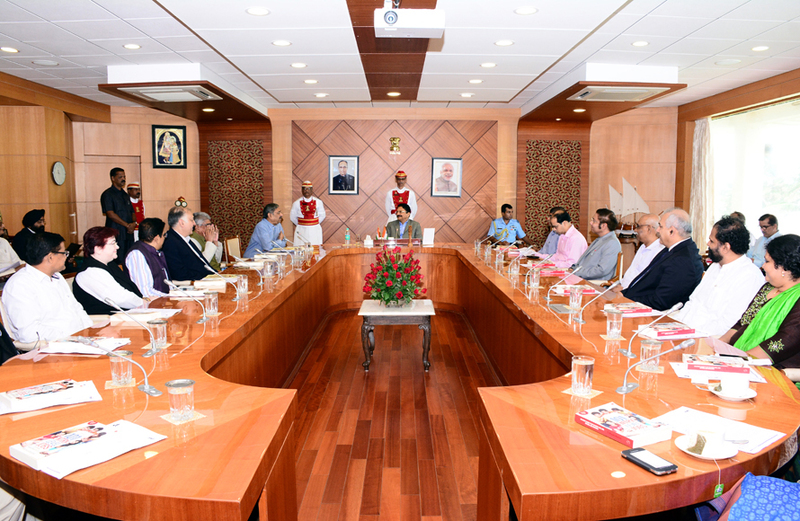 It will hugely benefit those with qualifications like BE, BTech, BA, BCom, BSc, BBA, BCA, BPharm, BL, as well as MBA, MCA, MBBS, CA, ICWA, CS and diploma holders. 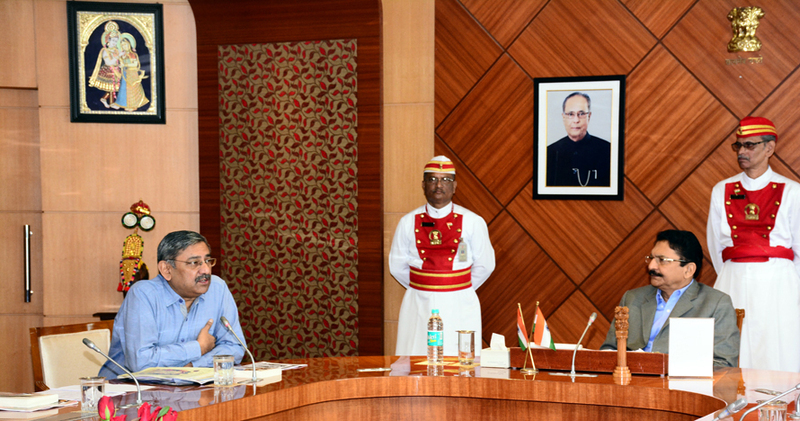 With proper and detailed elaboration, this book will not only open new avenues for the youth but also help them make the right career choice. A must read for students, job seekers, parents and as well as HR professionals. 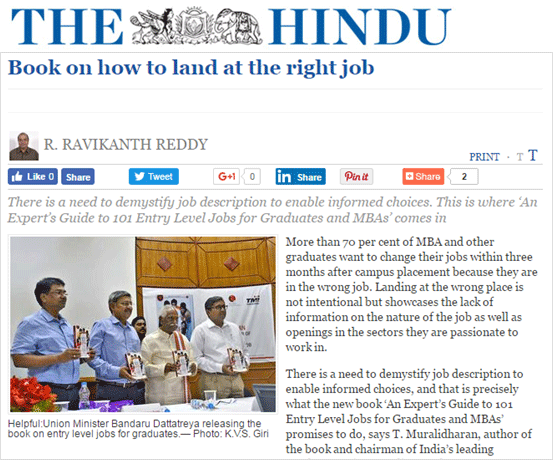 101 Entry Level jobs for graduates is must read for students and graduates. As book suggests, this book is all about jobs and different departments. Often students are unaware of several decent jobs due to lack of knowledge. This book tells us all about the jobs, requirements and various departments. As commerce student, personally this book taught me several new things which i was unaware was. Language used in the book is simple and easily understandable. Writing style of author is decent and fruitful. Author explains various topics with simple day-to-day examples. 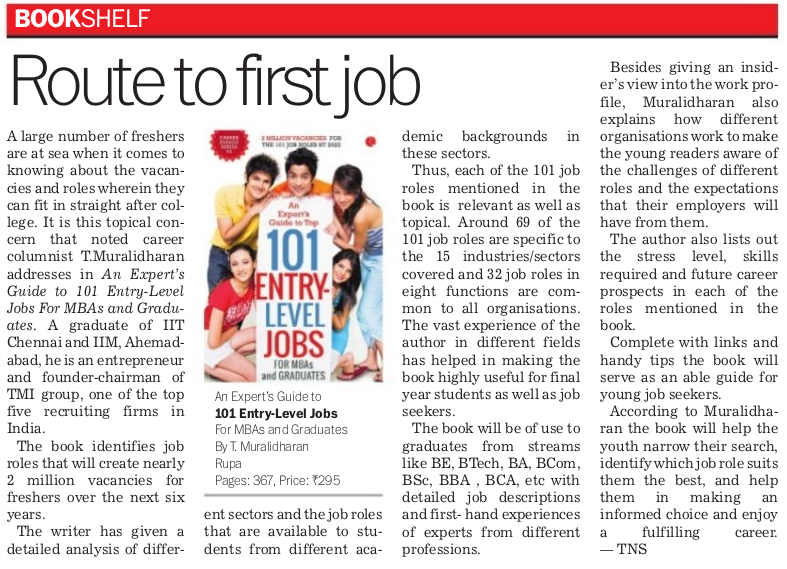 Overall 101 Entry Level Jobs for Graduates is must read book if you’re looking for your first job. 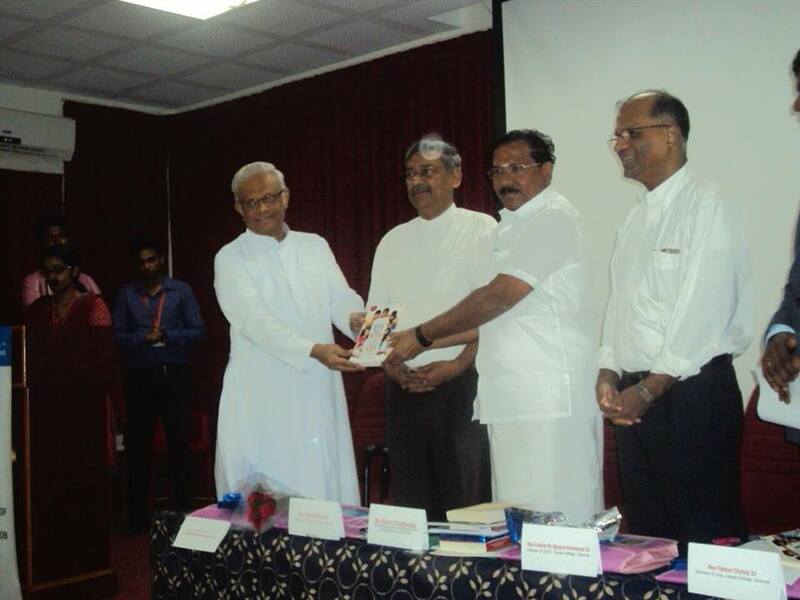 Also this book serves information about various departments which i am sure will help many students. I would rate this book 4.2/5. 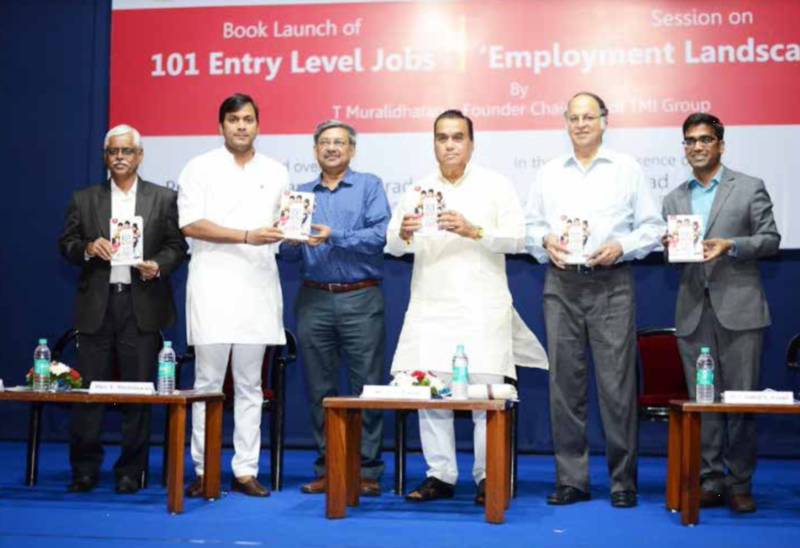 101 Entry Level Jobs is one of the must read books for students seeking 1st job. This book tells us about the detailed information about major departments ranging from automotive sector to banking, from education sector to insurance and from telecom sector to travel and tourism. Language of the book is simple yet inviting. Even the new readers will find this book easy to read. Narration is decent and expressive. Author has amazing narrating skills which helps readers/students to understand various topics. Book is well written with lot of information and research upon upcoming entry level jobs. All of the sectors are expanded with several relevant examples, which helps readers to understand. All in all this book is must read for all the students to understand minute details about jobs and different departments. I would rate this book 4 out of 5 stars. "Not only did the book answer the what’s, why’s and how’s of job search, it also told me how should I retain my job and how the first 90 days are critical. 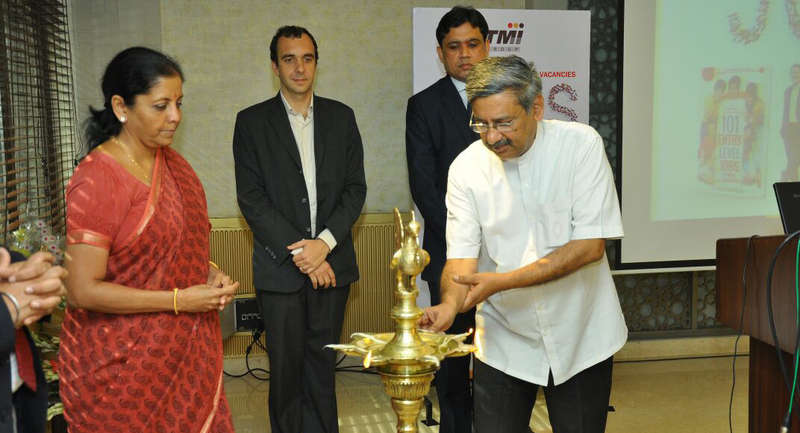 I am sure to keep these points in mind when choosing my first job after my MBA."